I can’t be alone in my love of Farmer’s Markets! Finding new markets and discovering local crops are one of my very favorite parts of traveling! I’ll admit, sometimes you need a good trip to Walmart and sometimes I shop exclusively at the nearest grocery store, but the moment I step foot into the aesthetically pleasing parklike flow of a really good Farmer’s market- I never want to shop anywhere else! Maybe this love of Farmer’s Markets first started when we live in Winter Park, Florida. Our twins were born here and they had probably one of my favorite markets to date! The town just came to life on those bright Saturday mornings, when your friendly farmers and neighborhood artisans eagerly displayed their wares for you to sample and buy at will. The kettle corn booth was always poppin’ (? ) and the local honey from beekeepers just around the way attracted the attention of national news media more than once! I just fell in love- so much so we started our own booth selling natural body scrubs that actually turned into one of our first small businesses- leading to a small boutique back in Georgia at a holistic center around the corner from where we purchased our very first home. 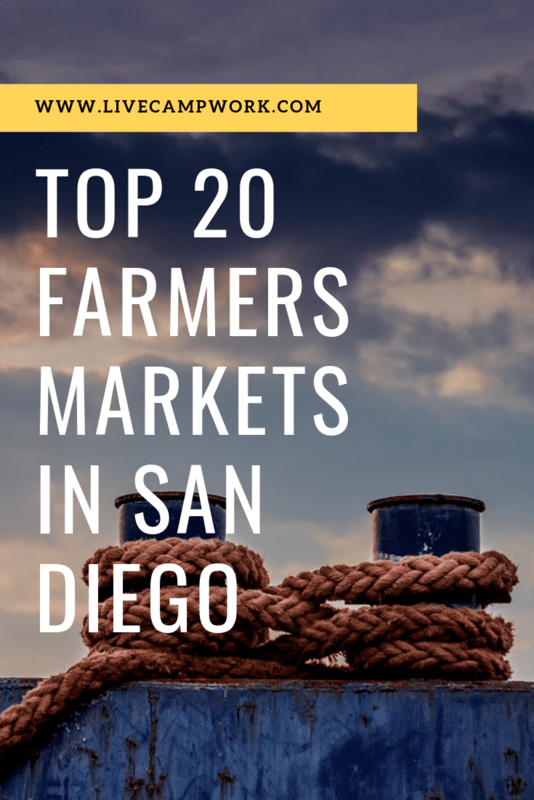 With that said, San Diego has about a million farmer’s markets, and there is at least one for each day of the week! Lucky me! During our stay, we made a point to try to find as many markets as we could, and while we weren’t able to visit them all we’ve created this list of the ones we know of in hopes of conquering them all in our next trip to SoCal!